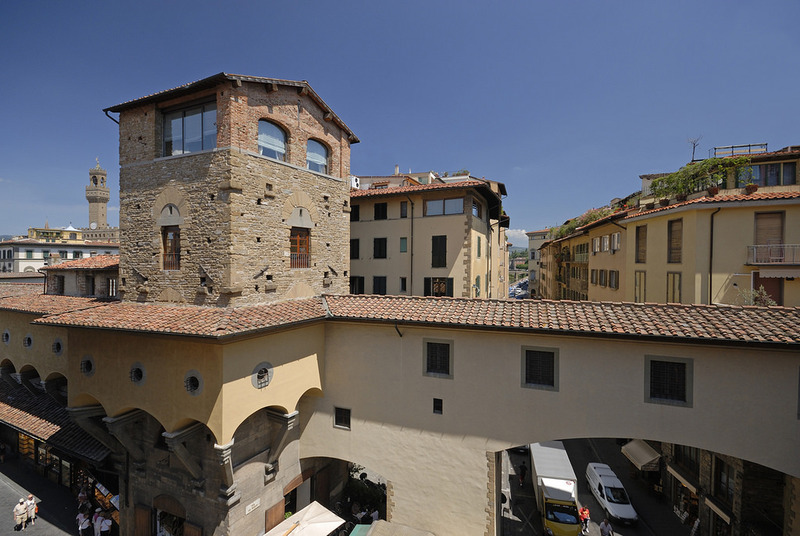 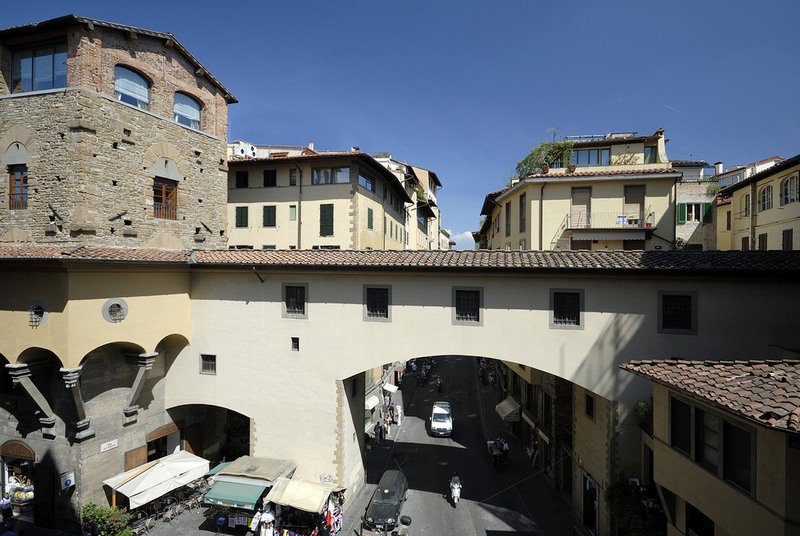 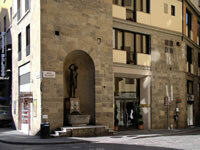 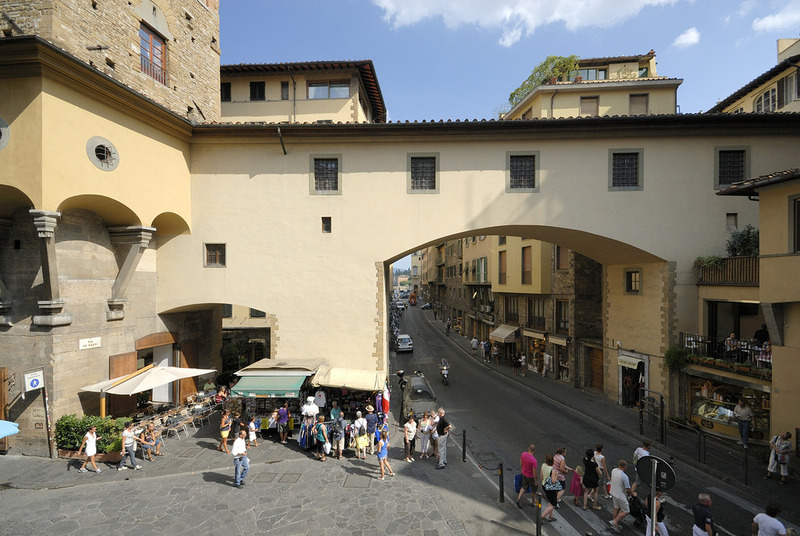 Hotel Pitti Palace al Ponte Vecchio makes part of the walls of the "Torre dei Rossi" (Rossi Tower), which dates back to 1200. 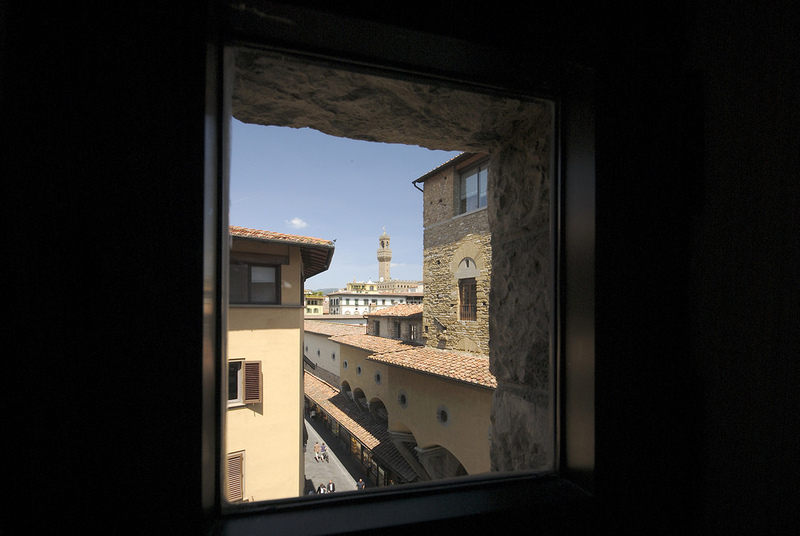 From inside the tower one can admire the Ponte Vecchio´s stone buttresses jutting out over the Arno river. 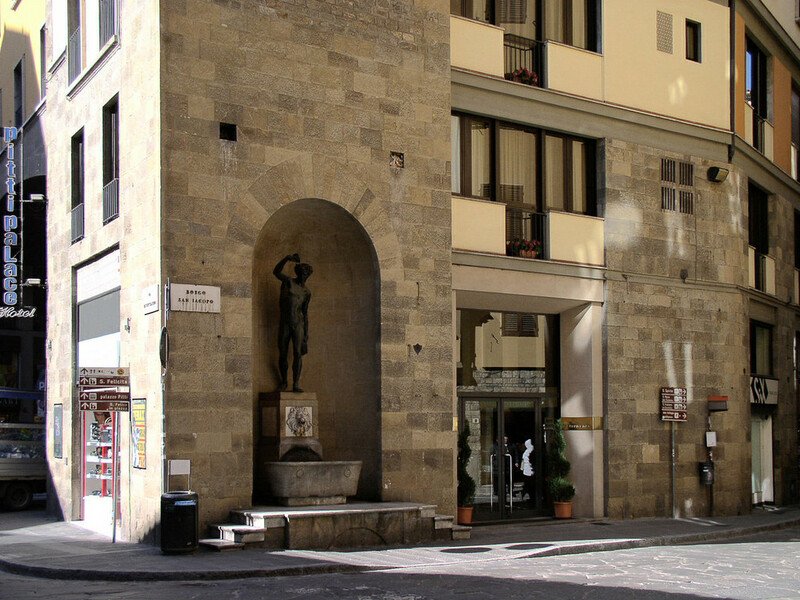 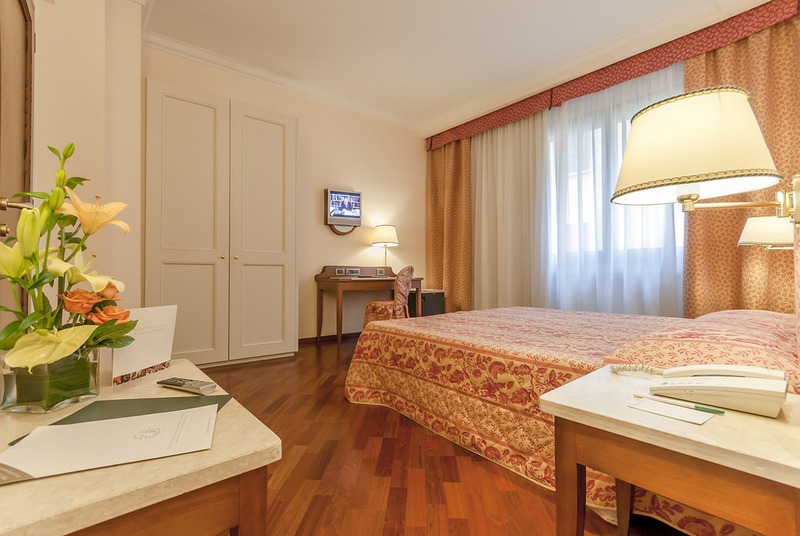 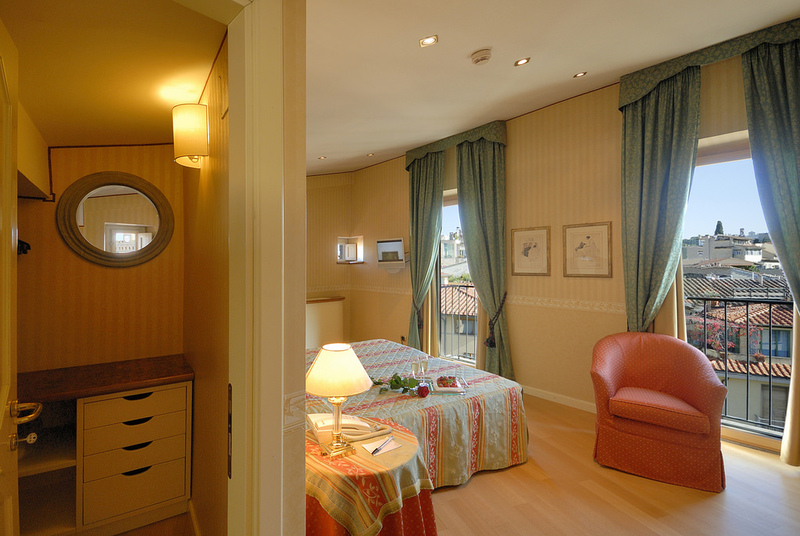 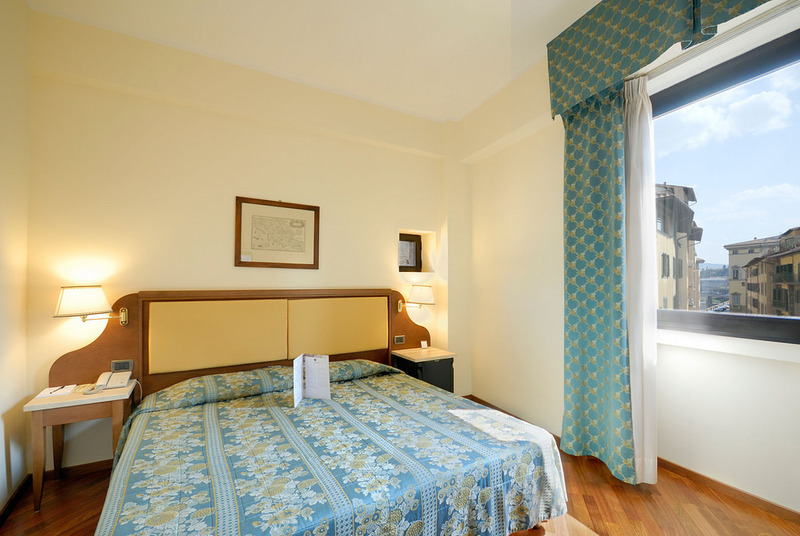 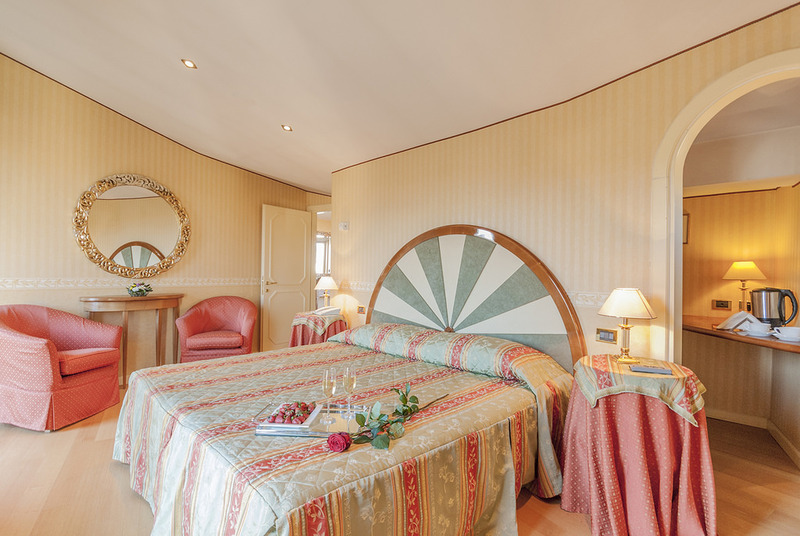 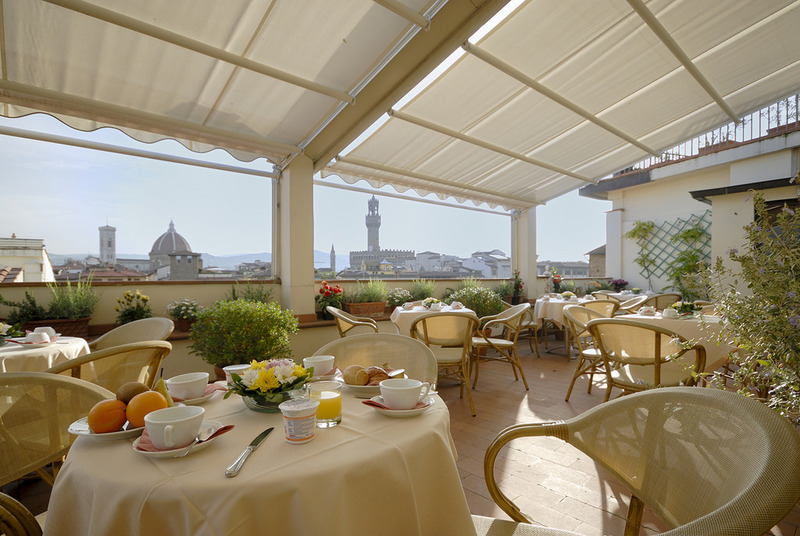 Its seven floors make this tower one of Florence´s tallest buildings, and there is a splendid suite crowning the hotel on the top floor. 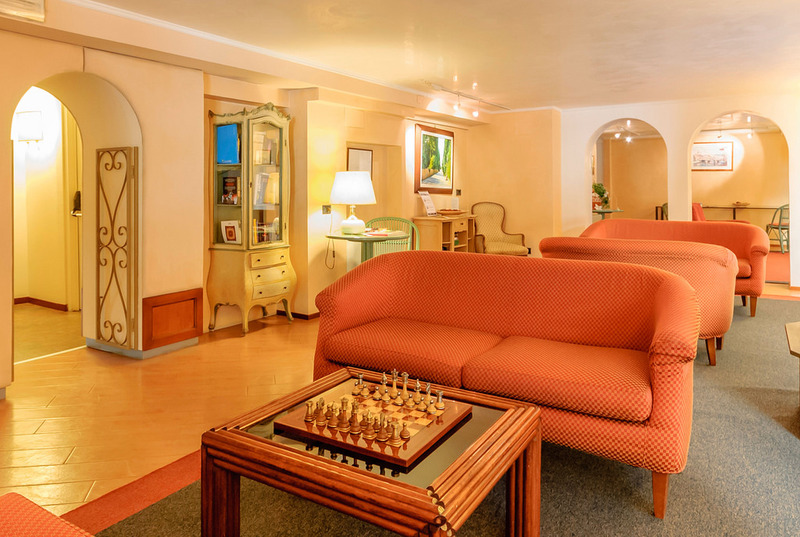 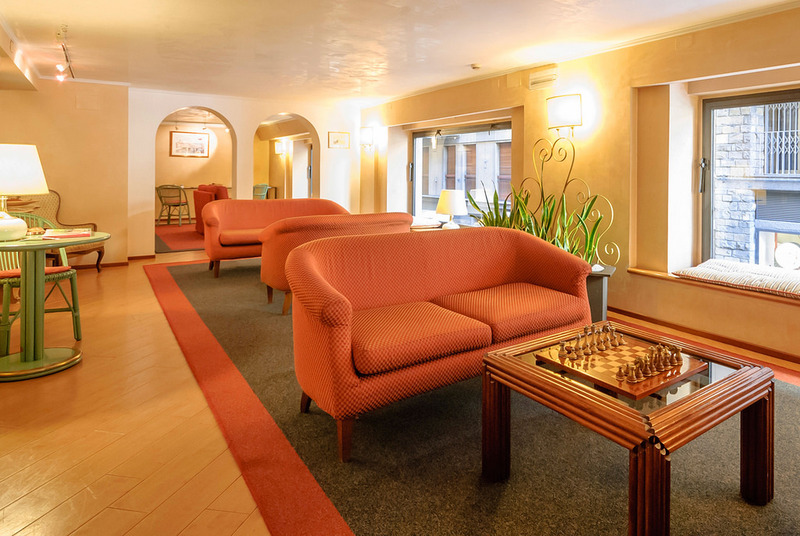 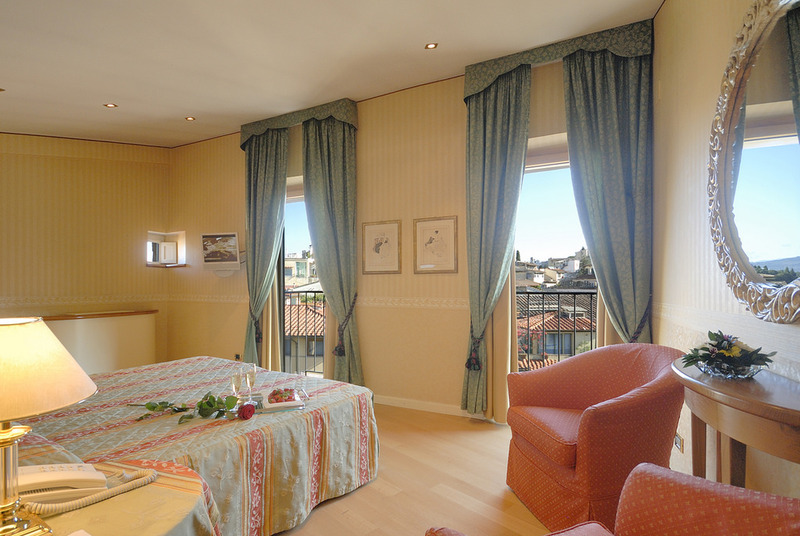 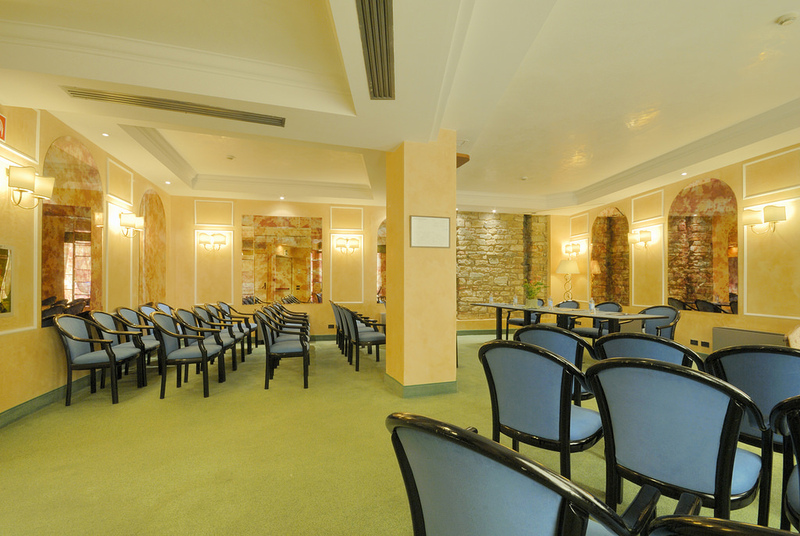 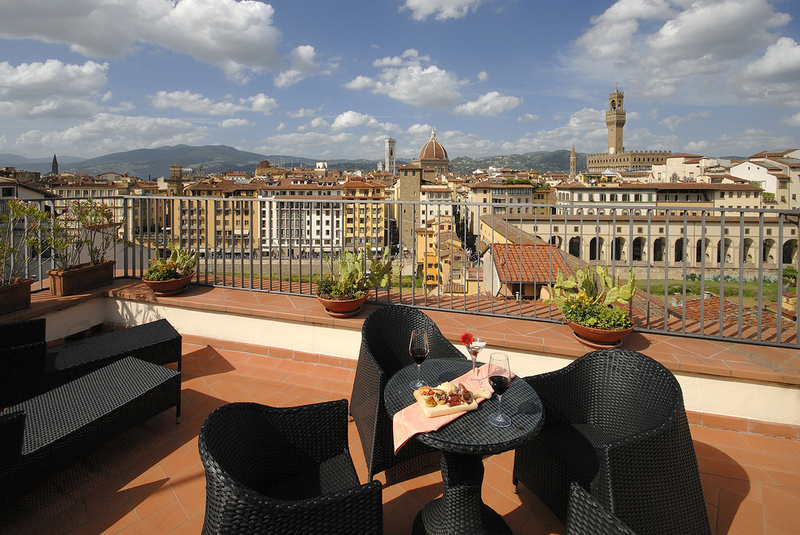 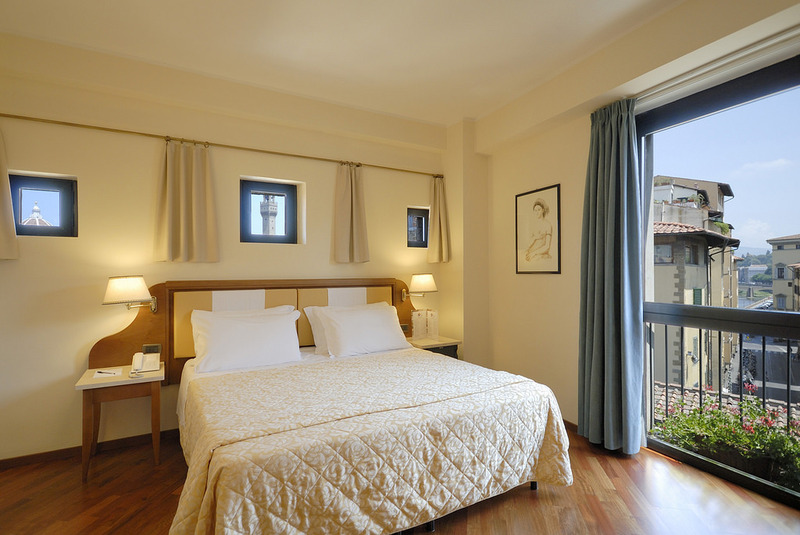 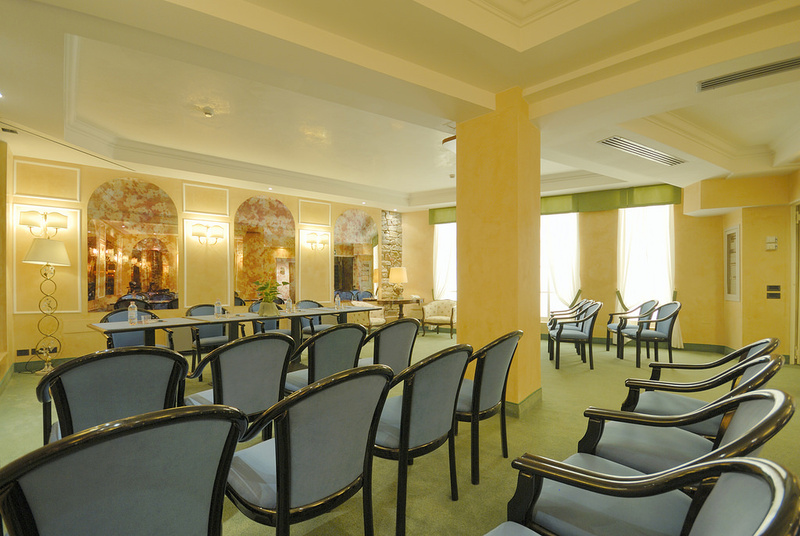 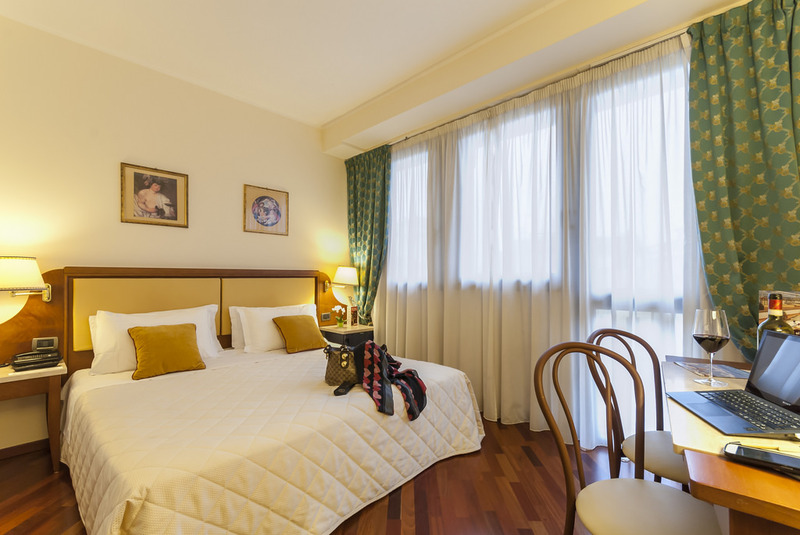 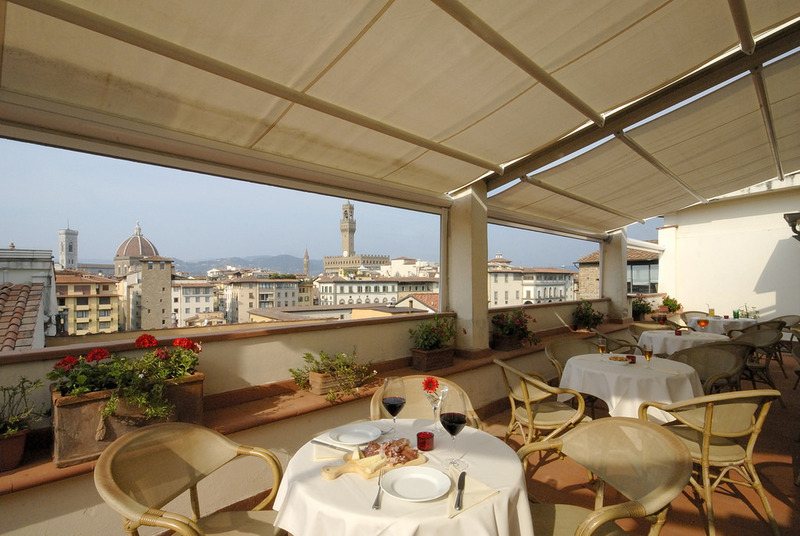 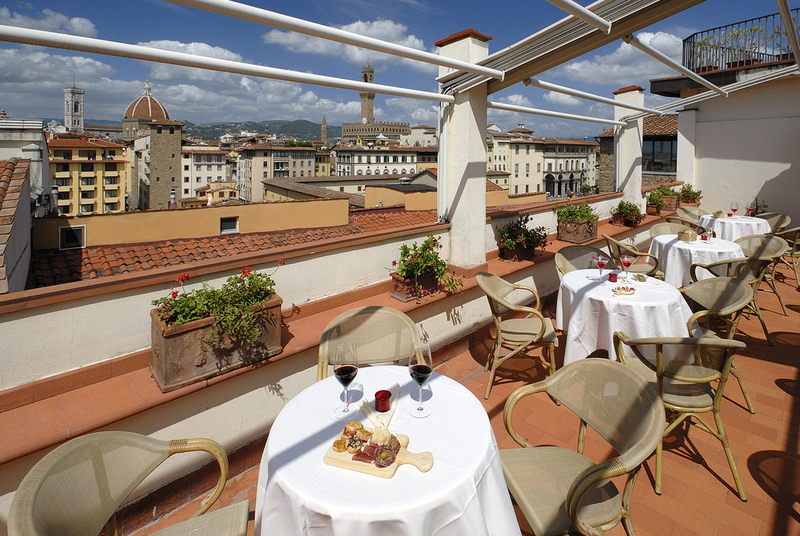 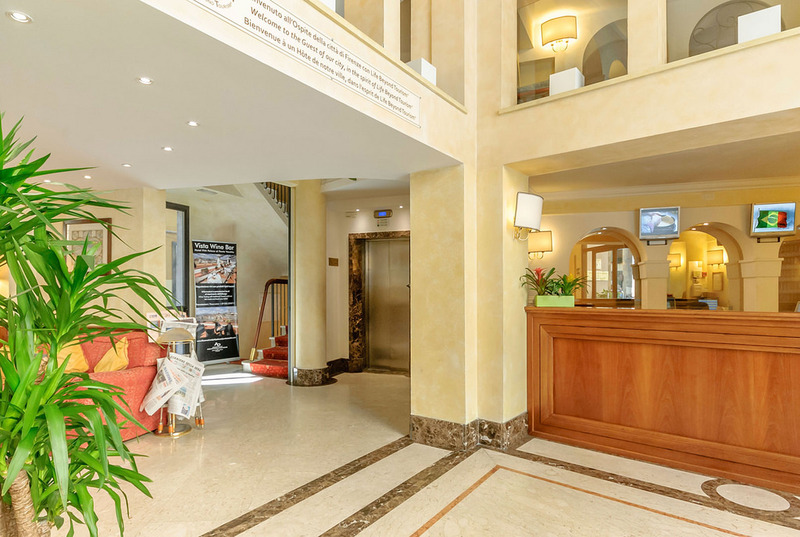 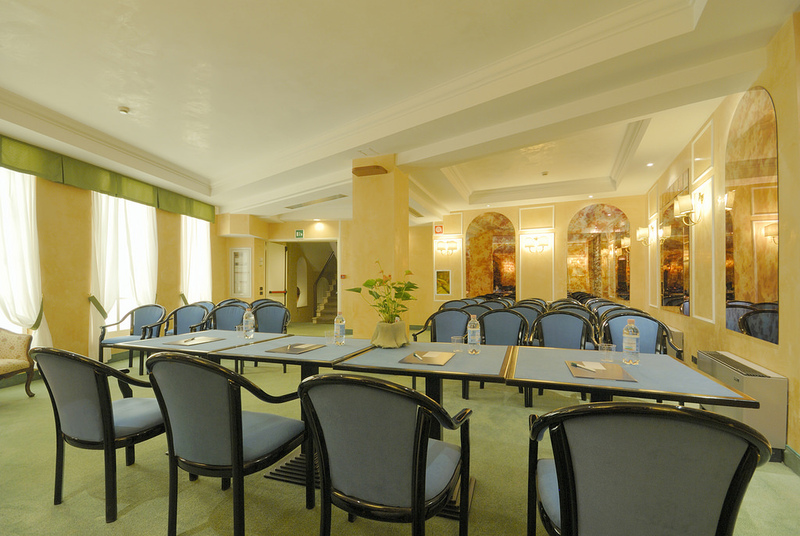 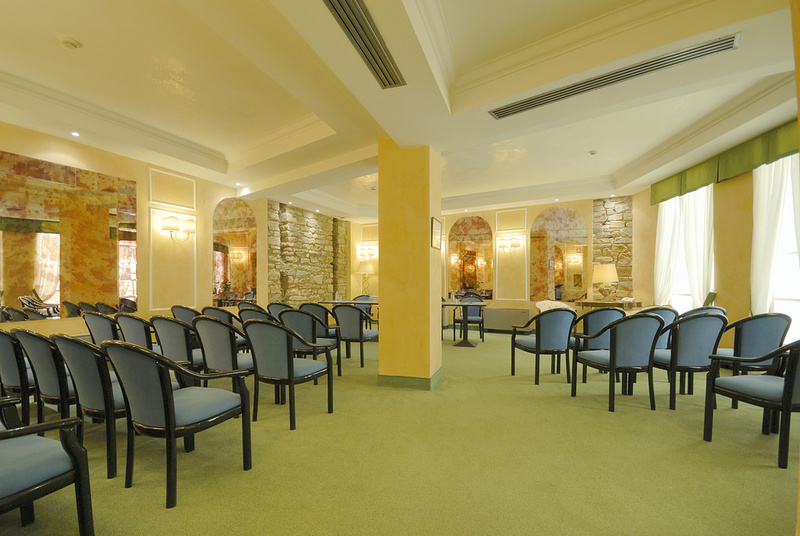 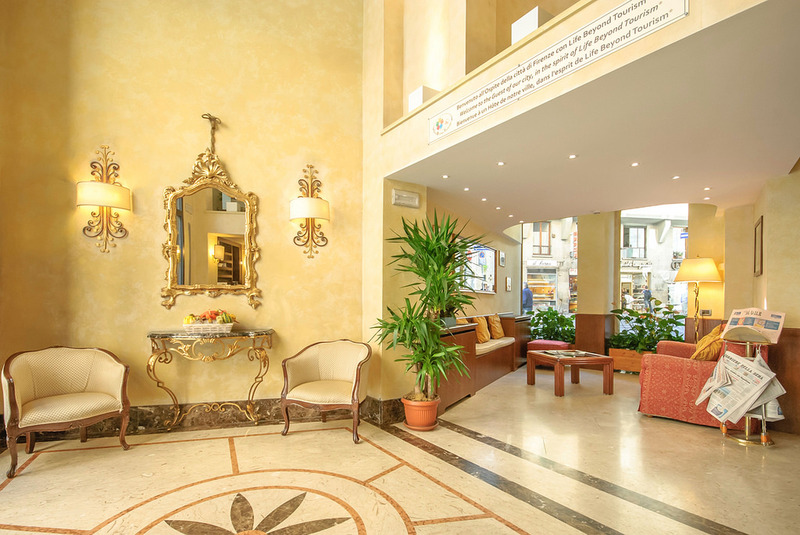 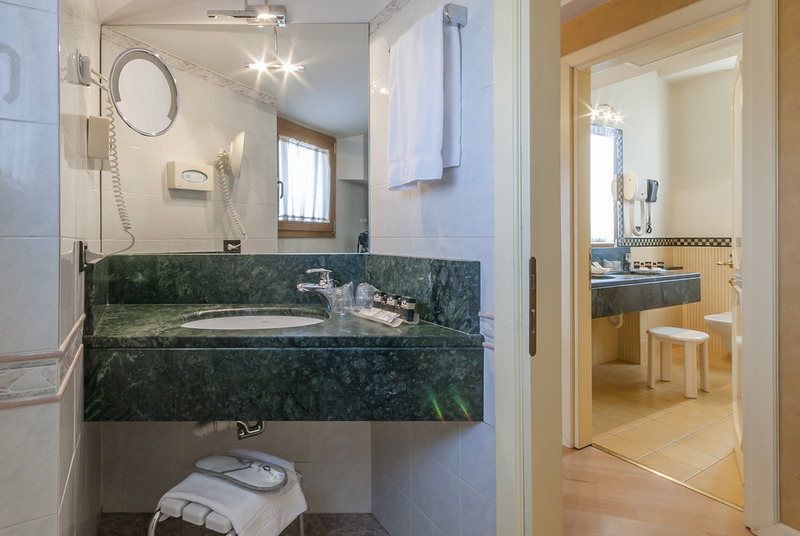 On the sixth floor, guests can either relax in the café lounge at the bar or out on one of two spacious terraces, all while enjoying a magnificent view of Florence´s skyline and major monuments. 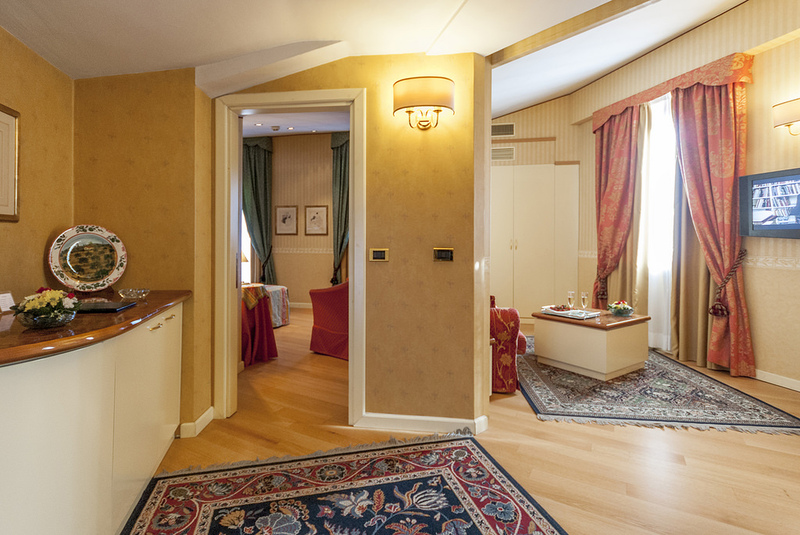 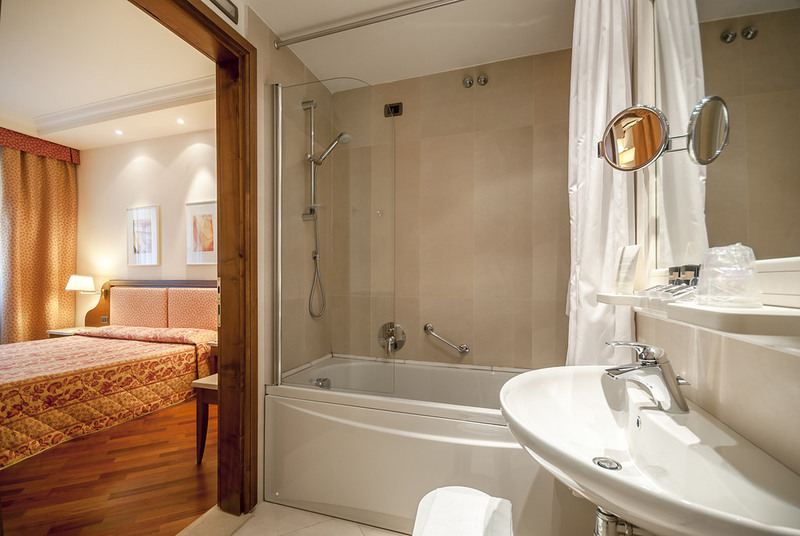 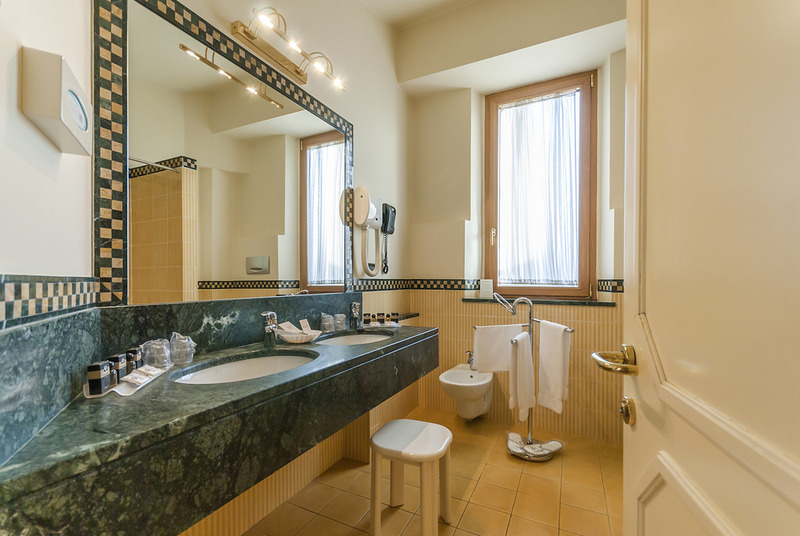 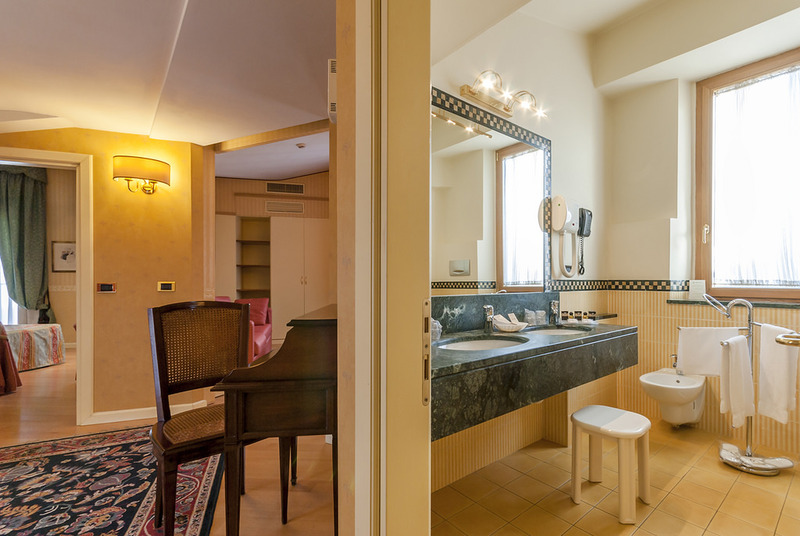 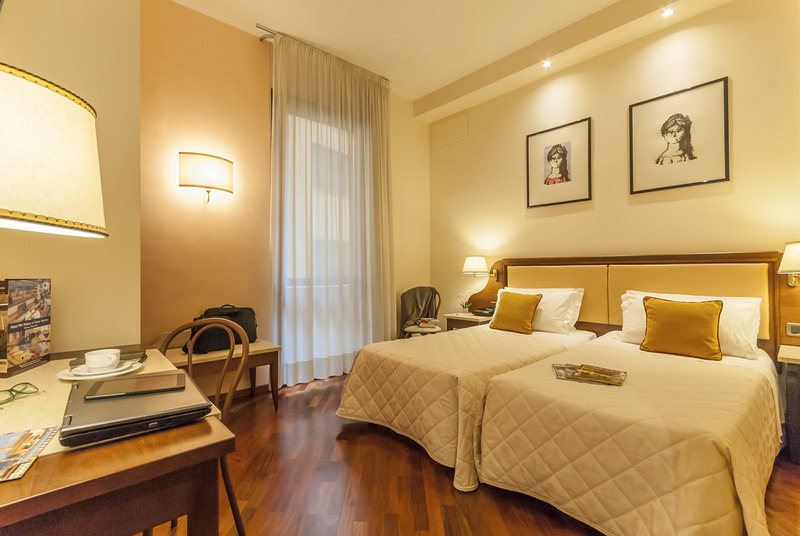 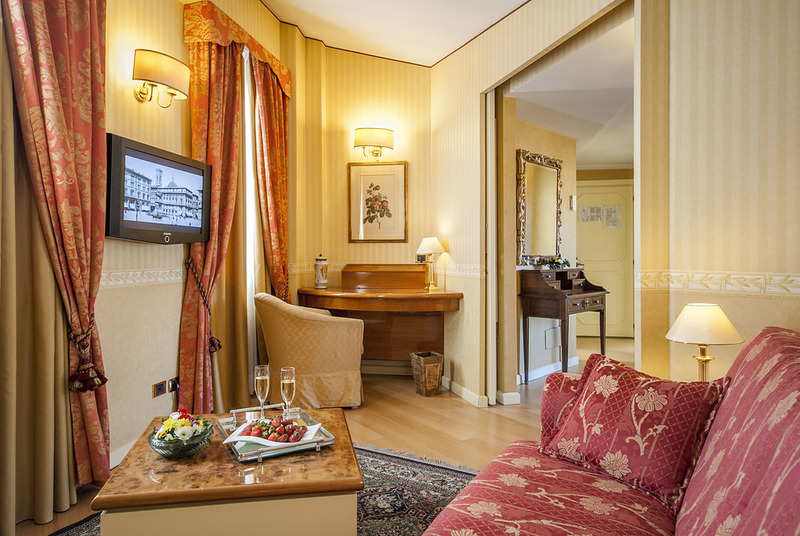 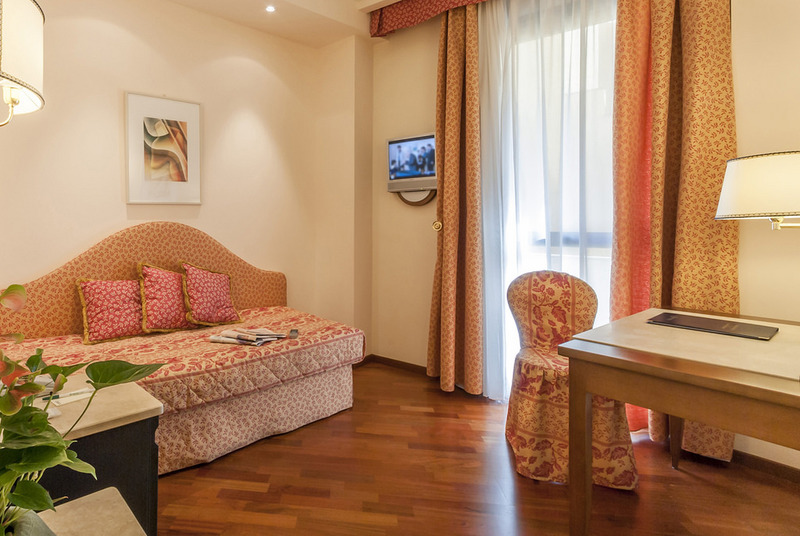 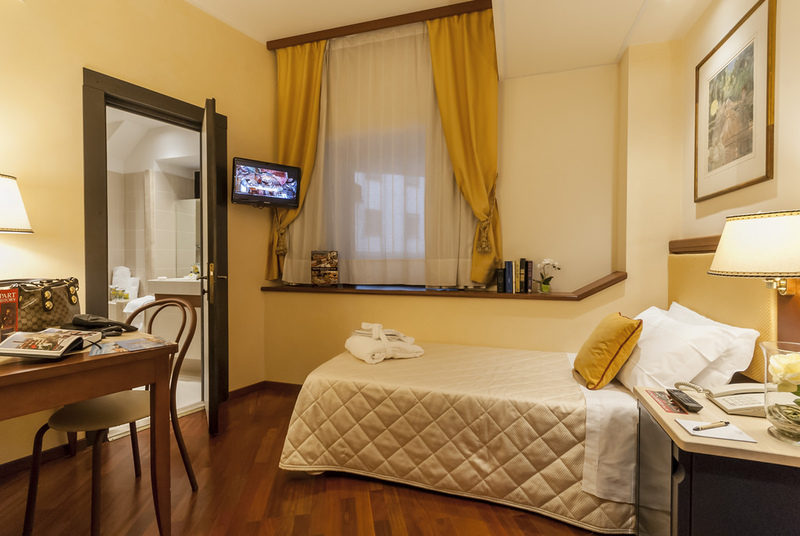 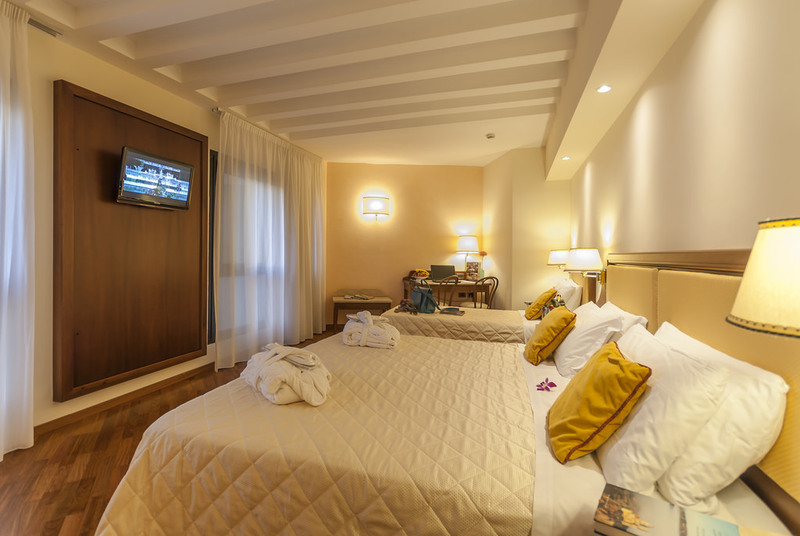 Hotel Pitti Palace guest has the privilege of getting an intimate contact with the genuine Florentine atmosphere, past and present. 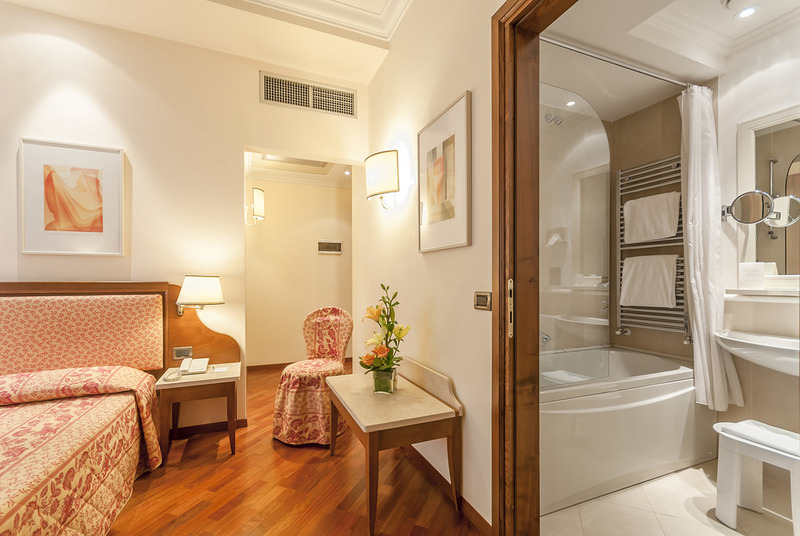 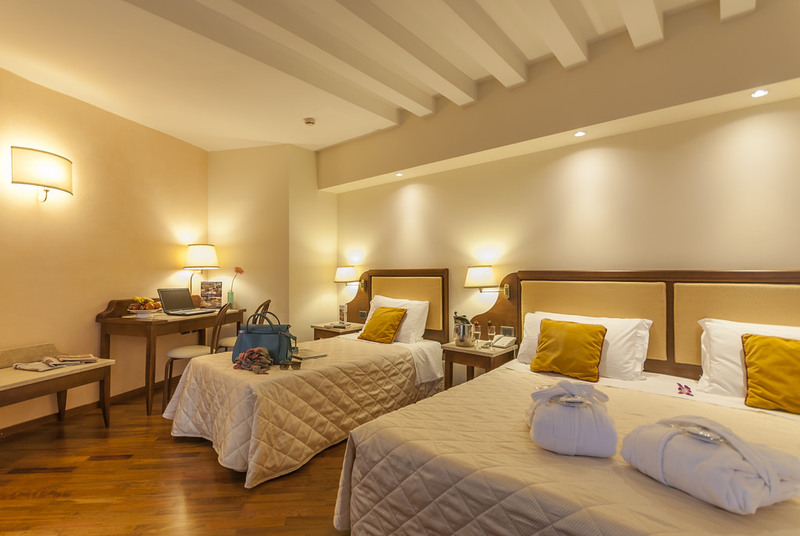 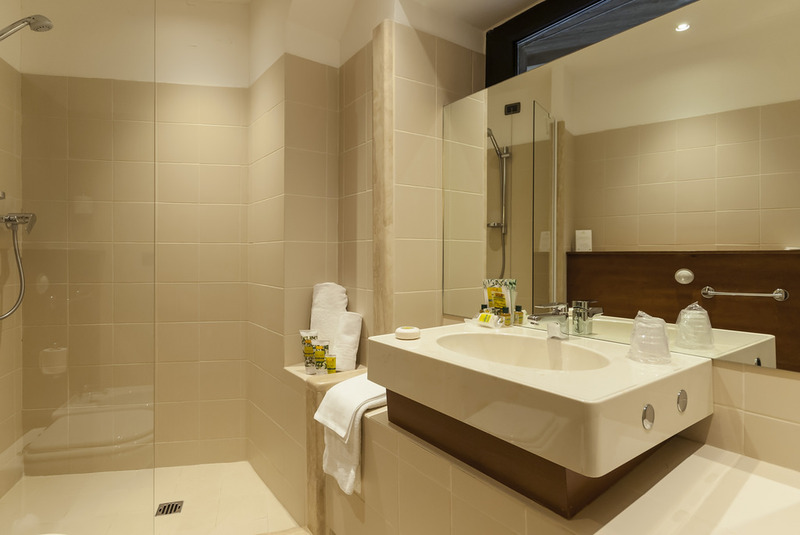 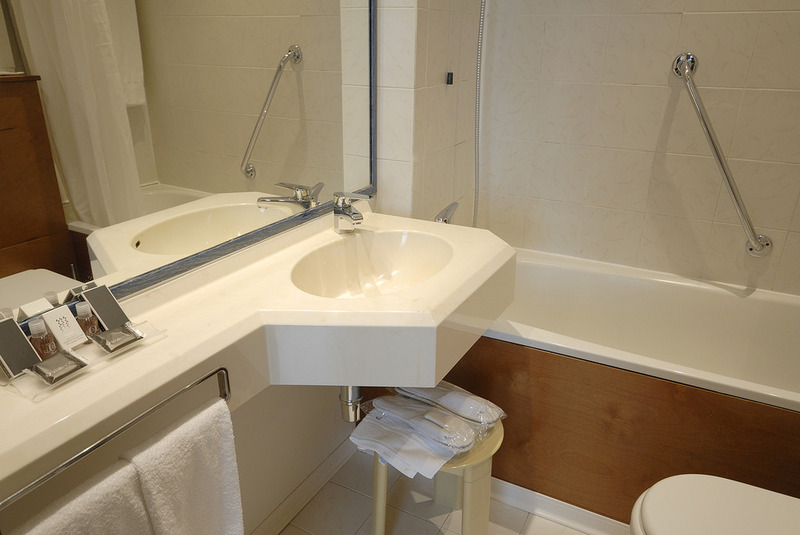 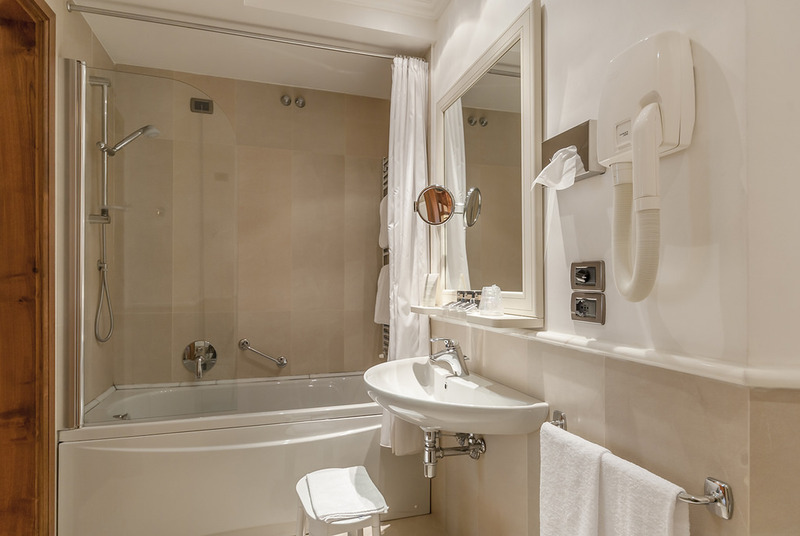 Air conditioning, Soundproof , Satellite TV, Mini-bar, Direct dial telephone, Safe, Internet Access, Hair Dryer.